If you follow our blog regularly you couldn’t have missed that last week our team was busy hosting antibody suppliers, academic and industry researchers and professionals from the pharmaceutical and biotech sector here in Bath for the 2nd International Antibody Validation Event. If you weren’t able to join us last week, here is a quick update on the discussions that took place and some of the ideas that emerged from the event – and we hope you can join in the next event, more details to follow on that another time! The event attracted nearly 100 attendees, coming from all over the world to bring together ideas and expertise, and to take part in conversation aimed at establishing best practices in research antibody validation and improving antibody validation for the life science community. A key theme that emerged throughout the event was summarised by Professor Jim Trimmer from University of California Davis who said that it is key the question regarding validation is framed “not in how you validate your antibody, but for what has your antibody been validated”. Other speakers focused on this along with issues of transparency, with a number of reagent suppliers outlining their efforts and processes, including Birte Aggeler of Bio-techne, Jason Li of Proteintech, Deepa Shankar of Thermo Fisher Scientific and Alejandra Solache from Abcam. Dr Chalmers added: “As a researcher who works regularly with suppliers and other researchers, but less with the pharmaceutical companies, I found it especially useful to get insight into how companies like Medimmune and AstraZeneca operate validation processes. The education of researchers using antibodies was an interesting issue raised by Alison Banham of the University of Oxford – key if the recording of antibody use is to improve. 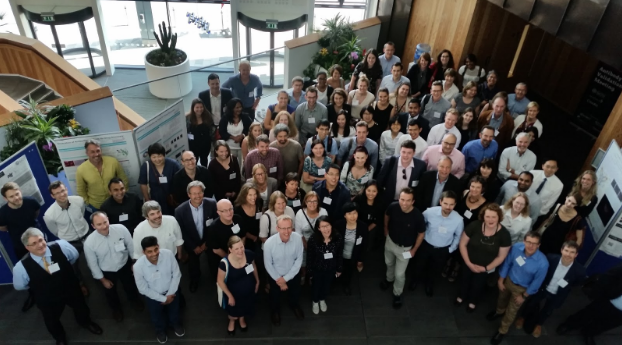 Following excellent talks a discussion forum brought together funders, publishers – both groups being key stakeholders in antibody validation, along with researchers and suppliers to discuss the issues raised through the event. Discussions were wide in focus but of particular interest were ideas on including the adoption of recombinant antibodies (championed by Andrew Bradbury of Los Alamos National Laboratory) and the need for minimum requirements of antibody validation. If you missed the event but would like to chat through any of these ideas in more detail, or have thoughts you’d like to share, please continue the discussion using the hashtags #AbVal16 and #AbValidate. Alternatively our team are always happy to talk antibody validation so get in touch and we’d be happy to have you visit or just a chat by email!